Domestic Angels is a family owned business that specialises in providing domestic cleaners and home help to residents and business owners throughout the Bayside surburbs of Melbourne. 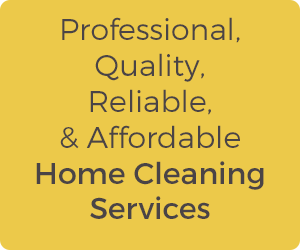 Starting out as a two person cleaning team back in 2008, we have grown into one of the most respected and reliable domestic cleaning agencies in Bayside Melbourne. We love to help our clients spend more time with their families or doing the things they love to do. We provide our clients with highly experienced and reliable domestic house cleaners on a weekly or fortnightly basis. All our cleaners are carefully hand selected and trained in our "7 Step Angel Cleaning Process" that ensures your place is cleaned to the highest standard every single clean. All our cleaners are police checked and covered by the approriate insurance cover. Once you become and we match you with one of our local cleaners we remain your point of contact right throughout our relationship. If you have an issue with your cleaner or a cleaner is away we'll take care of it for you. Our passion is helping people and our mission is to provide every resident in Bayside with a Domestic Angel.